Time for me to put my money where my mouth is and to post my first sketch for Sketchtember. Here you can see our family cat, Brian, in all his glory. This was quite a quick sketch, about 15-20 minutes using an H pencil which was the first pencil I could find as my daughter has most of the art stuff squirrelled away in her room. When I was younger, I used to draw all the time; I was very much like my daughter in that I would draw for hours every day for the sheer joy of it. These days I rarely draw anything, so I’m hoping that Sketchtember will reignite my love of drawing. For those of you who are of a creative or aquatic bent, you may be interested to know that I will once again be leading canal based creative writing workshops. Those crazy fools at the Birmingham Literature Festival have asked me to lead dusk till dawn writing sessions as part of this year’s festival. I don’t have a lot of details yet, but I guess that they will be similar to the ones I ran back in April as part of the pop-up festival. Back then, we started from Birmingham’s historic Roundhouse and explored the canals via canoe and kayak. It was a real eye-opener for me. There are parts of the city you can only explore from the canal. Deserted glassworks, industrial loading bays and the Victorian red brick of disused warehouses stand beside the canal, and their decaying shells now home a multitude of wildlife and their walls canvases for graffiti artists and frustrated lovers. Come and witness my world famous invisible fish wrestling. We will spend at least an hour on the water and then back inside the relative, although not guaranteed, warmth of the Roundhouse I’ll put you through your paces with some short, focused writing exercises that will nudge you towards creating longer pieces of work. All photos are the property of the very talented Jana Eastwood. You can find more images from previous workshops here at her excellent blog, Escapes and Photography. One of the many incredible views along the canal. Wildlife in the heart of the city. Those wonderful people at Mantle Lane Press have chosen and they have chosen well. The artwork for my forthcoming collection of short stories, Night Swimming, will be provided by Gabriella Marsh. Here’s a text free glimpse of what’s to come. On Sunday, September the 11th, 2016, I will be taking part in the Memory Walk at Cannon Hill Park in Birmingham to raise funds for the Alzheimer’s Society and in memory of the lady below. This is a first: a post that has nothing to do with writing, creativity, art or politics. I’d like your attention for a few minutes to highlight a cause that means a lot to me: The Alzheimer’s Society. These guys do a huge amount of valuable work for people and families who are coping with dementia. The stunner above, with the film star looks, was my Nan, (Nan is a term that some of us Brits use for Grandmother.) I never knew her when she looked like this, but the picture gives a hint of the fiery, cantankerous, strong willed woman that fed and spoilt me when I was growing up. She died a few years ago, but we lost her long before that to dementia. My mother became her carer and had to watch first-hand as the woman she knew and loved slipped away. Eventually, it was too difficult to care for her at home and she had to go into a home. This was a very difficult decision for all involved. The Alzheimer’s Society help many people like my Nan, but they rely upon donations from the public to do so. Please give what you can by clicking on the link below and help the Alzheimer’s Society to continue to do the essential work that they do. Huge thanks to you all for reading. P.S. If you’d like to know more about the Alzheimer’s Society please click on the link below. I’m doing a bit of research; maybe you can help? I’m looking at jobs, different types of work, work I’ve not done before, stuff that’s unusual and usual. I’d like to shadow you while you work – this isn’t as creepy as it sounds it just means seeing how you do your job and what your job entails. The shadowing could last an hour, half a day, a whole day whatever’s best for you. I could even lend a hand if that’s permissible/possible – I won’t expect to sit in on any brain surgery though. Please share this amongst your friends, followers, stalkers and if you are interested in having an affable writer scribble down some notes while you work then direct message me. For practical reasons, the work must be based in Birmingham unless it’s something unmissable, exotic, bizarre, rare, etc. 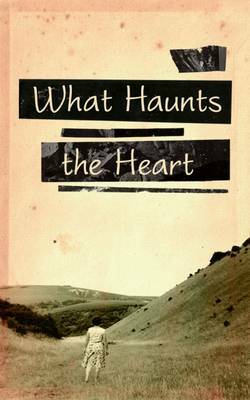 Following events in London and Leamington, Kit’s wonderfully reviewed book gets a Birmingham launch at Waterstones, 5th July 2016 at 7pm. 2016. I was lucky enough to be part of Room 204’s inaugural year. It was a huge benefit to me as a writer. It helped me to take myself seriously and look at different avenues in which I could produce work and get paid for it (no, really.) Thanks to Room 204 I had my first short story published had another placed in a competition got commissioned to produce work collaborated with an artist on a comic strip had poems published and so on. Give your writing career the boost it needs. Writers across the West Midlands are invited to apply to be part of this year’s Room 204 – the year-long support and career development programme run by Writing West Midlands. Now in its fifth year, Room 204 recruits between 10 and 15 writers a year, writing in all genres from poetry and prose to radio and TV scripts and gives them each over £1,000 worth of career support. The deadline for submissions is Thursday 25 February, and you can find the full submission details here. 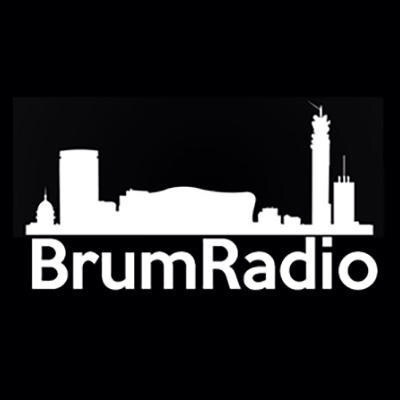 At last, Birmingham has its very own alternative radio station, Brum Radio. The station covers local bands, including an interview with Ocean Colour Scene’s Steve Craddock, and events as well as a Book Club programme that looks at the work of local authors. Their first guest was Johnathan Coe talking about his new book, Number Eleven. The show has teamed up with Waterstones to give you a £6 discount on the book when you say…….Well, to find out what the code is read the full article here on Mazzy Snape’s blog. If you missed the first show you can grab it at MixCloud.